No executive makes it to the C-suite without a bit of trial by fire, and no one can vouch for this quite like Arturo Rodriguez. He was only twenty-four when he went to work for Atari, a France-based video game publishing company. Such a gig seems like a dream job for anyone’s inner child, and in many ways it was for Rodriguez. But it also provided a foundation that has stayed with him throughout his career. Atari went through many changes during Rodriguez’s decade-long tenure, and this is what made his time there so exciting. The changes enabled him to develop and grow as a professional and gain valuable experience that most of his twentysomething peers lacked. Rodriguez’s first few years saw him through the company’s rebuilding phase. He’s especially proud of how North American finance operations became centralized into New York City during this period. “It was a really great time of building something that needed to be built, and assembling a great team with a good vibe and a hardworking culture. I was really proud of that,” he says. After helping the company reorganize and merge into its parent company in Europe, Rodriguez eventually joined the executive team and became the CFO for North America. This was no small feat, as the company had been going through some very hard times. When his contract with Atari was up, Rodriguez, a New York City native, decided it was a good time to come home and take some time off. He had done everything he could from a finance perspective for the company. He wasn’t completely dormant when it came to business. Several of his friends were in the early stages of starting their own businesses and often came to him for advice. Rodriguez’s former boss from Atari got in touch and recruited him to Piksel, then known as KIT Digital. 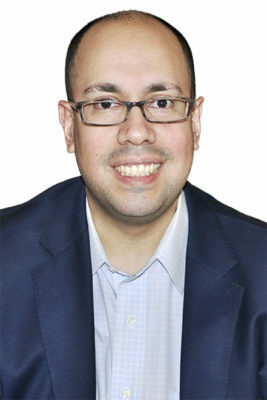 Rodriguez joined in July 2012 as the senior vice president of finance and chief accounting officer. Rodriguez thought that he’d seen it all in finance by this point, but his horizons expanded in this new role. He and his boss realized that something did not make sense with the numbers at KIT Digital. An internal investigation was launched. Though Rodriguez was not part of the investigative team, he was able to assist investigators. Over time, it was discovered that the numbers were fraudulent, and the company’s then CFO and CEO were both ousted. KIT digital filed for bankruptcy and relaunched as Piksel in 2013. Rodriguez was with the organization throughout the process, and he is proud that he was part of a team that helped the company stay afloat—and save approximately eight hundred jobs worldwide. “Most companies don’t survive that,” he adds. His time at Piksel was fulfilling, but Rodriguez recently decided he needed a change of pace. He and his wife welcomed a new daughter to their family, so long days of travel were no longer for him. An old colleague heard through the grapevine that he was on his way out and recruited him. At press time, Rodriguez was unable to disclose the company he’ll be working for, but he says he’ll be the number-two finance person at a startup company in New York City. Rodriguez is thrilled that this new opportunity will keep him professionally fulfilled and close to home and family. He’s certainly earned it. When asked what advice he has for young professionals, he encourages them to have a positive attitude, be open-minded, try to be like a sponge, and, of course, be prepared to work very hard. “I look for those types of skills in my interviewees and potential employees and I think if they can capture that, they’re going to have a successful career themselves,” he says. Rodriguez is also passionate about mentoring, both inside and outside of an organization. He believes strongly that companies are doomed to fail if they don’t groom the next generation of executives. And he’s not a “sit there and preach” kind of mentor. Rather, he chooses to make interactions with his mentees very interactive, making sure to help them weigh all of their options in any situation. “I think the most important thing as a mentor is not to cross over the line and make sure that they feel it’s always their decision,” he explains. Looking to the future, Rodriguez sees himself as the CFO or COO of an organization. After that, he’s open to taking a more academic turn and teaching at the high school level, providing younger people with the kind of guidance he was fortunate to receive since he started working as a teenager. Right now, he is excited to start at a new organization—and face the very welcome challenge of finding more of a balance between work and family. HSBC, one of the world’s largest banking and financial services organizations, has been connecting Americans to global opportunities since 1865. It serves customers from offices and branches in cities across the United States including New York, Los Angeles, Chicago, Atlanta, Houston, Seattle, Miami, San Francisco, and Washington, DC.